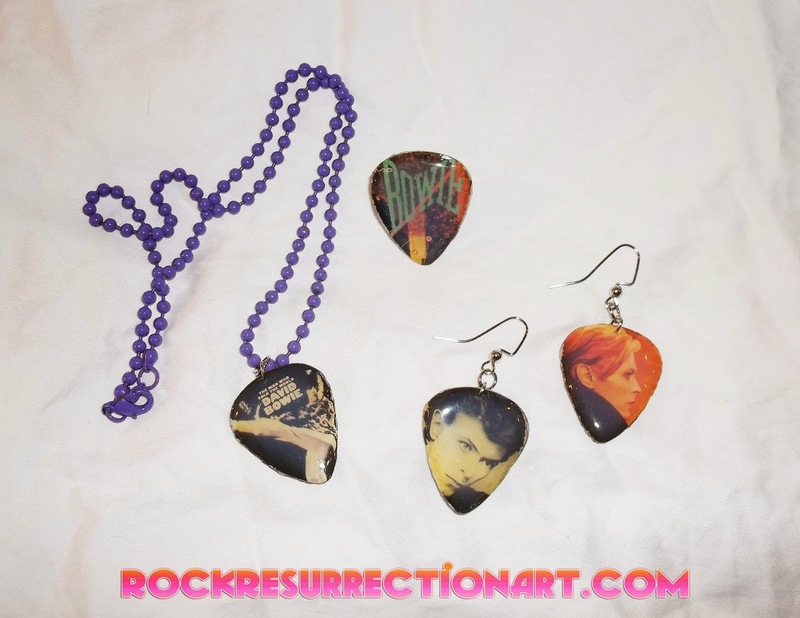 Hand made David Bowie guitar picks! View them and purchase here! 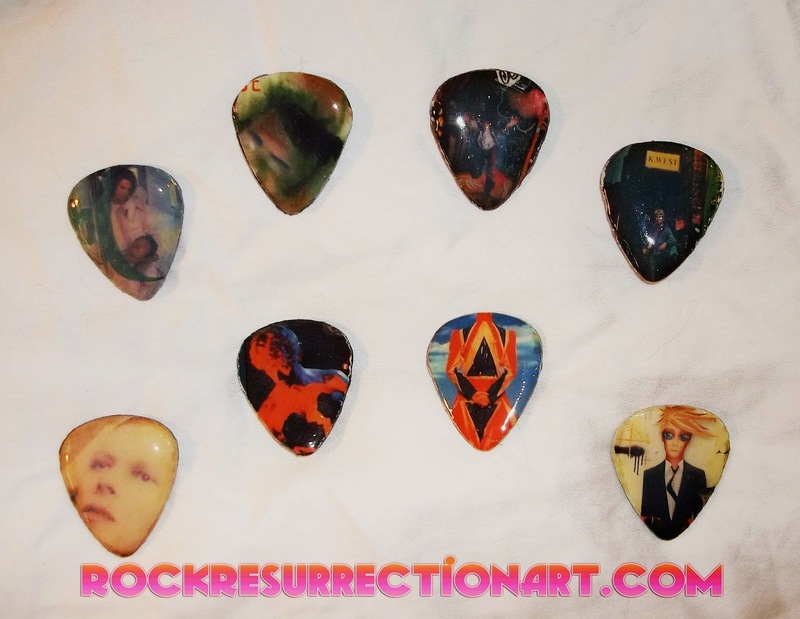 Here is the whole series of the David Bowie guitar picks I made! All the picks are unaltered and ready to be turned into pendants for jewelry. Examples of some of the things I can create for you! Pictured above: A necklace, lapel pin & fish hook earrings.